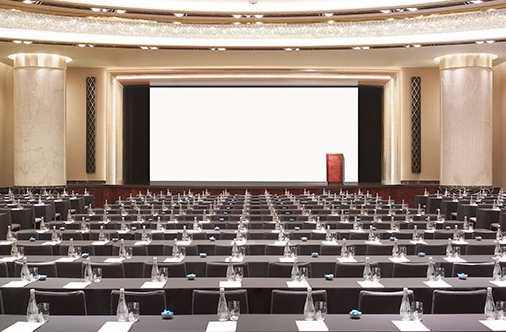 The Grand Hyatt Hong Kong has long been a favourite for larger scale corporate events, recent renovations have further enhanced this. The new design features sliding doors that when opened connect the entire function space and can accommodate up to 888 for banquets. In addition, the ballroom stage now has a 9m x 4m built-in LED wall.